WYOMING IS THE NUMBER ONE TAX FRIENDLY STATE. WYOMING OPERATES IN THE BLACK!! TO HAVE A GRASP ON OUR POPULATION… WYOMING HAS 97,818 SQUARE MILES. ON THE OPENING DAY OF DEER SEASON IN THE STATE OF PENNSYLVANIA, WHICH HAS 46,058 SQUARE MILES, THERE ARE MORE HUNTERS IN THE WOODS THAN THERE IS RESIDENTS OF WYOMING. WOW. Wyoming’s state nickname is, “The Equality State”, originating from being the first state to give women the right to vote. 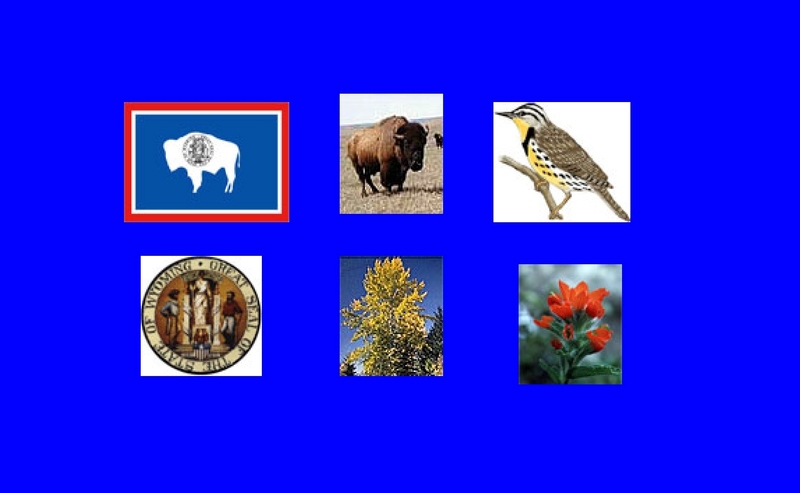 Wyoming gained its statehood July 10th, 1890. It is the 44th state in the Union. The orgin of the state’s name is derived from the Native American word “Mecheweamiin”, which translates to “at the big plains”. 2003 Census: 501,242 which makes it 50th in population size among the states. Poplulation Density: 5.05 people per Sq. Mile or 1.95 people per Sq. Kilometer. Population density is 65% of the population in Urban areas, and 35% of the population in Rural areas. The total area of Wyoming is 97,818 Sq. Miles (253,597 Sq. Km. ), making it 9th in size among the states. The highest point in Wyoming is Gannett Peak at 13,804 Feet above sea level (4,210 Meters). The lowest is located in northeast Wyoming’s Crook County near Hulett on the Belle Fourche River at 3,099 feet above sea level. The Gross Domestic Product of Wyoming was $22.3 billion in 2003. The personal income per capita in 2003 was $32,808. Information was gathered from multiple sources. Crazy Woman Realty deems information reliable but not guaranteed.